If the bot is not working you have to go to folder on zynga poker bot/data/bmp and change the top.bmp with the new one because the zynga change the top left side of the poker. So you have to take a screen shot,The image size is not matter but you have to cut a small screenshot up and left like this one. What exactly are your problems to help you. Can you give us a screenshot? There is an easier way to fix it. Just click on the Challenge Button and see what have you do, so the number 2 disappear from the icon. why after i join a empty table and sit, then i open the bot, it keep asking me to join a empty 9 table??? i already change the challenge pic up there, but still cannot use the bot??? ?are this bot working?? 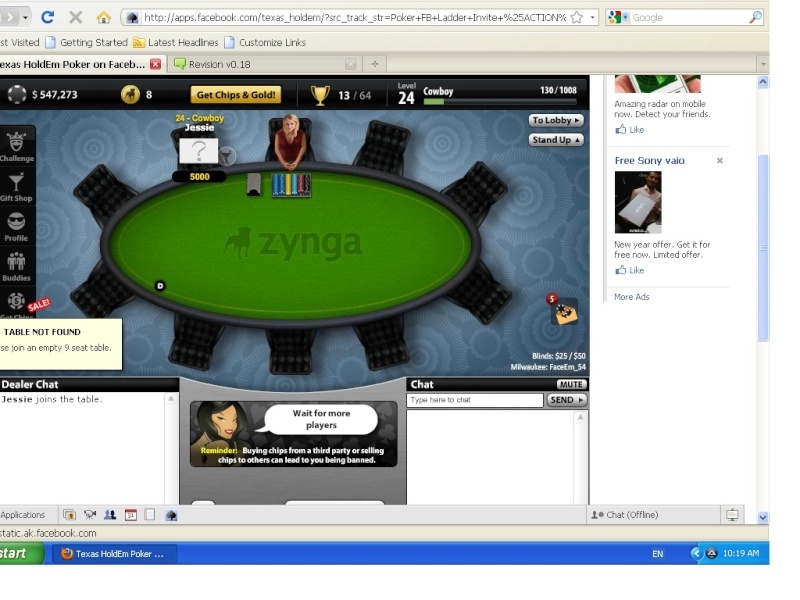 ps: how do jou turn privacy setings on zynga poker.. The Zynga Poker changed the interface so i have to make new changes to recognise the seat. But if you take the seat number 8 or 9 is working percfectly. i already done what u have teach me,but the same problem again, no seat can be found. wait for your new version. i really don't know how to use !!!! anyway thx for your help!!! edisonjk wrote: i already done what u have teach me,but the same problem again, no seat can be found. Hi there. i have downloaded your latest release and patch.. it works ok and maps the seats out.. but it really does struggle to pick the cards up quick enough in play.. its so slow and sometimes it doesnt recognise atall and says "No Game" Any tips or upgrades? demonfire wrote: Hi there. i have downloaded your latest release and patch.. it works ok and maps the seats out.. but it really does struggle to pick the cards up quick enough in play.. its so slow and sometimes it doesnt recognise atall and says "No Game" Any tips or upgrades? already 4 days, the new version???? ?is that no more new version??? Im on windows xp so its not a windows issue. I think its programming tbh.. its full of bugs. Hopefully it can be sorted soon as im really interested in it. Well best of luck with that.. there are many issues.. another being the buying into a game at 4000 on higher levels.. just wont work and cant be changed. This could be a great little bot just a shame its riddled with problems.. is admin not about any more then?